Wow. No new Pushead purchases since the HPFlocked Wing in July? It’s been a nice slow period lately, which is a good thing because Pushead collecting isn’t always kind on my wallet. I’ve been trying to be more responsible with purchases lately, but when this guy came along, I had to act. 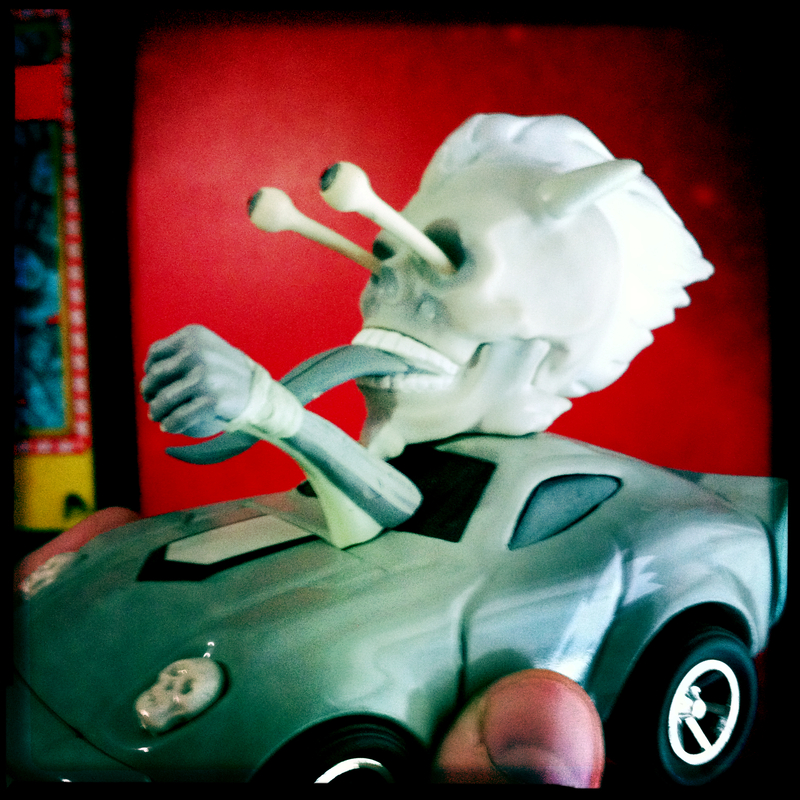 Limited to 300, this black and white version of the Cocobat Positraction Tin car was an exclusive to Warp Magazine. Oddly, I picked it up for LESS than the color version is going for, and it’s in mint condition. The box is the same, save for a small sticker denoting that it’s the B&W version. I’m still on collecting pause; my next purchase will be at NYCC unless another ‘can’t miss this’ drops into my hands… in which case… I can eat fruity pebbles for dinner, right?